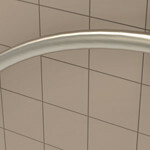 The ADA compliant TileWare Victoria™ Series Grab Bars for tiled showers provide safety, function and style and can be mounted horizontally, vertically or diagonally. 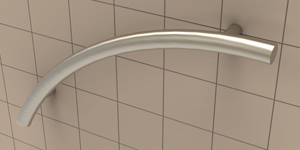 Contemporary grab bars constructed from solid brass with premium finishes that will never rust, the extraordinarily strong Victoria™ Series Grab Bars will not dislodge from extended use providing superior safety and durability and come with a 5 year warranty. 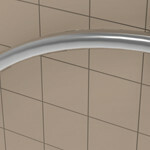 TileWare Victoria grab bar designed with the TileWare patented, mortar-based fastener technology, these systems are intended to be installed exclusively by tile professionals. 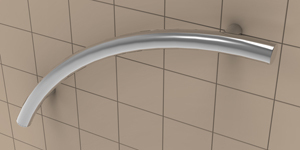 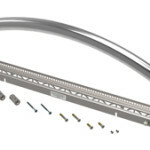 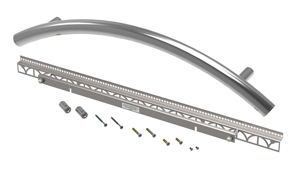 The TileWare Victoria™ Series Grab Bars comes with the PermaTile™ Installation Kit that includes wall brace, screws and all components needed to install the towel bars. 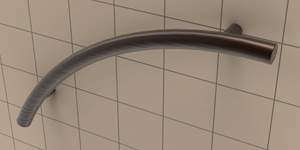 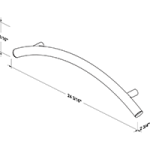 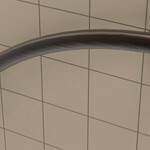 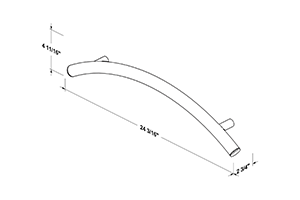 TileWare Victoria grab bars can be mounted horizontally, vertically or diagonally.